Starting March 2nd, Come down to Cazalys Palmerston for Karaoke Night from 7pm! EXCITING NEWS! Our kids club is now open during lunch over the weekend! Woohoo! Wizards rejoice, this is your calling! Saturday 23rd Feb will be our HARRY POTTER TRIVIA NIGHT from 7:30pm! FREE EVENT! Phone 8932 8688 to book your table now! + Saturday Night is the all you can eat buffet from $22.50 per person with the kids club open from 5:30pm-10:30pm! for a chat and some nibbles, did we mention that its completely free? Join us down at Cazalys Palmerston with host Hot Toddy for a night full of fun, great prizes, laughter and awesome music. Check this out! Only $1 from now til the end of Feb to join Cazalys for a whole year! 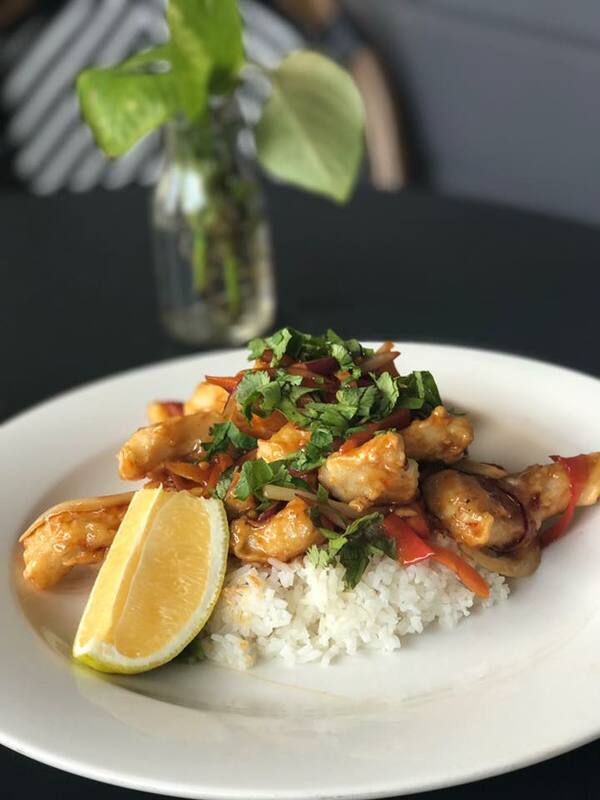 Have you tried our delicious Bistro Options? Congratulations to Wayne Preston for winning the $1500 Iron Jack - We Sell Fun Gift Card! 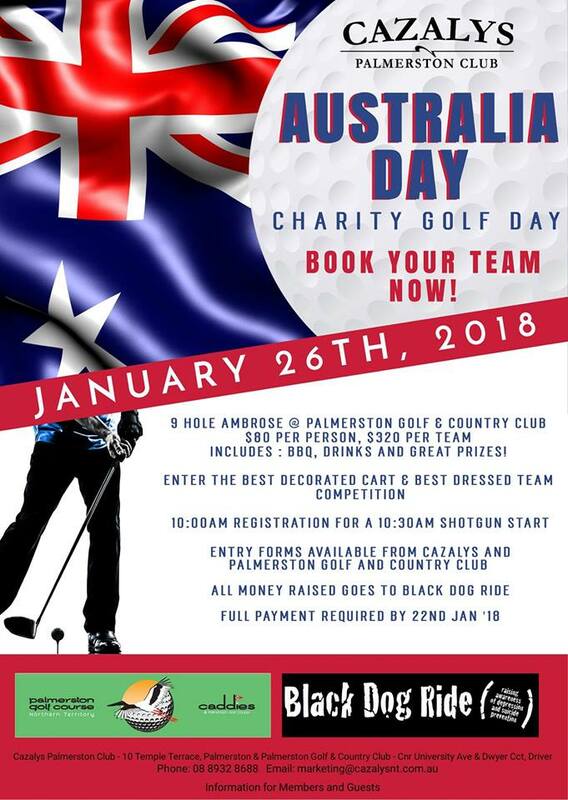 It’s time to register your team for “Cazaly’s 2018 Charity Golf Day” held on Australia Day, Friday 26th January 2018 at the Palmerston Golf Course. This is a great way to spend Australia Day and support a great cause! This major fundraising event will support the ‘Black Dog’ Campaign. The Black Dog campaign aims to reduce depression amongst men in this day and age. It especially encourages men to be strong, and stand together and take action to improve their health and wellbeing. Sponsorship opportunities are available and donations for our charity auction and raffles would be gratefully accepted & acknowledged. Valentine's Day weekend, were spreading the love to all with our Heart Beat Party. With Traffic Light Love Testers, Cheeky Games and Awesome Prizes, we've made cupids job easy! Come down and enjoy some awesome beats with DJ Mystic, from 9pm right here at Cazalys Palmerston. ALL MEMBERS WHO HAVE LIKED US ON FACEBOOK GET THE FIRST DRINK FREE! thanks to a lucky patron who took home the $250 jackpot! Congratulations to Denzel Waterloo for winning our Chinese New Year $1,000 Gaming Room Prize! Have you organised your Valentine’s Day? If not, don’t stress! Let us do the hard work for you! Book now by phoning 8932 8688, first 10 bookings get a special gift! Robyn from the Combined Christmas Toy Appeal has collected the gifts that were generously donated by our Members. Thank you to all of you who contributed & merry Christmas to Robyn who volunteers tirelessly to help those in need. At Cazalys Palmerston we have officially changed our Bottle Shop branding to The Bottle-O. This fantastic new change means a new image has appeared both inside and out of the venue, so make sure you pop in and have a look and the new designs, and even at the many deals we have going weekly! Choose between 2 traditional Indian Curries served with steamed basmati rice and $2 Roti to accompany your meal! Vegetarian options available. A Monster Congratulations to Bob Wyatt for picking up the Monster Jackpot of $250 last Friday! 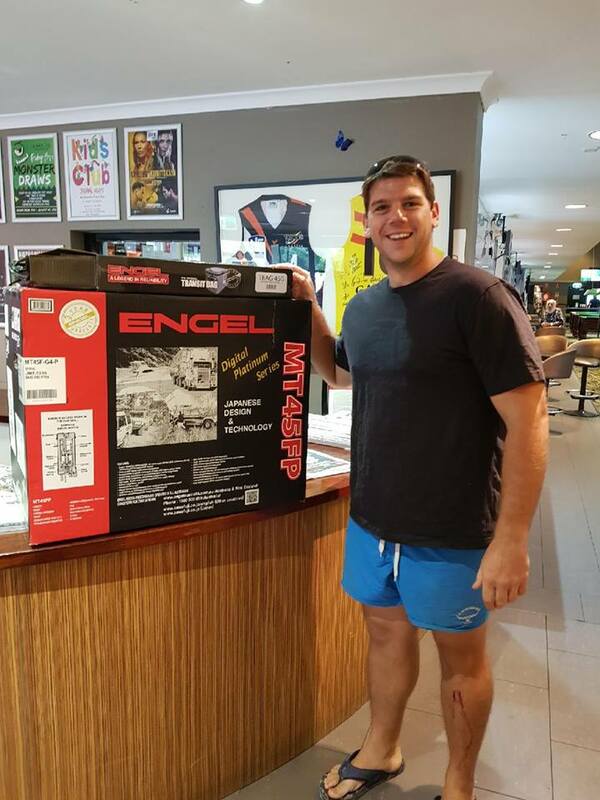 Congratulations Cale Flanders, the winner of our IRON JACK ENGEL giveaway!